A multifunction inkjet for the home and small office, the Lexmark X6300 offers average print speeds and acceptable print resolutions of up to 2400x1200 dpi. It is compact and accepts s a wide variety of media. The X3600 multifunction printer offers scan, fax, copy and print capabilities, and like other Lexmark all-in-ones, offers an ADF accessory for easier multi-page copying and faxing. 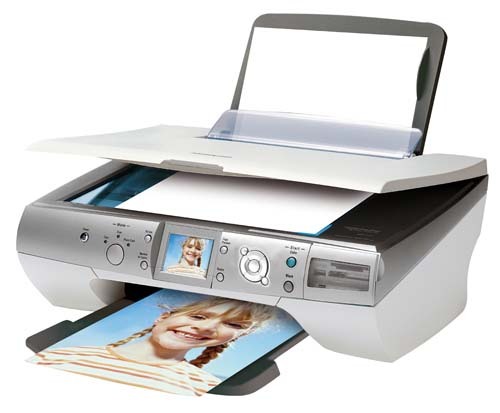 The Lexmark X6300 all-in-one, however, does not have a flatbed scanner, and with its high ink price, cost per page runs quite expensive. Measuring about 8x17x12 inches, the Lexmark X-6300 printer can fit even the smallest desktop space. It supports a long list of media and can be used with different operating systems. The Lexmark X6300 also uses 2 ink cartridges  one for black and the other for colour prints. It is not as reliable when it comes to speed, clocking in at about 14 ppm for black and white documents and up to 7 ppm for colour prints. The Lexmark X6300 scores well in terms of print quality, offering high resolution prints for both texts and photos. The X6300 by Lexmark allows PC-less operation when copying and faxing, and crisp prints are guaranteed whether producing graphics, texts, or images. The Lexmark X6300 printer, however, scores low in terms of running costs. Users find that the X6300 is prone to technical problems like paper jams and the misalignment of printheads.